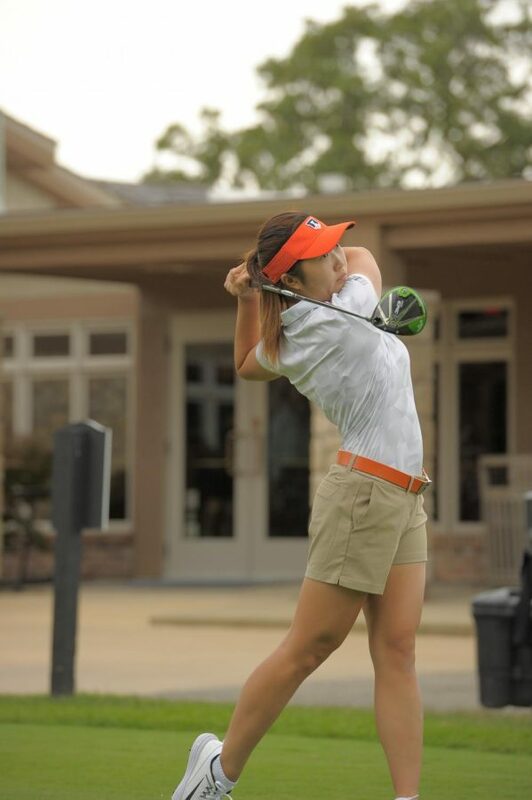 Illinois senior Grace Park takes a swing for the women’s golf team. 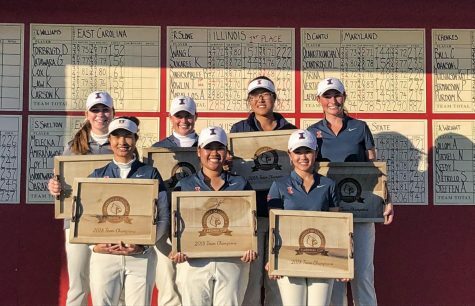 Illinois participated in a tournament at Briar’s Creek where it placed ahead of Penn State. Park was a major factor in the team’s performance. 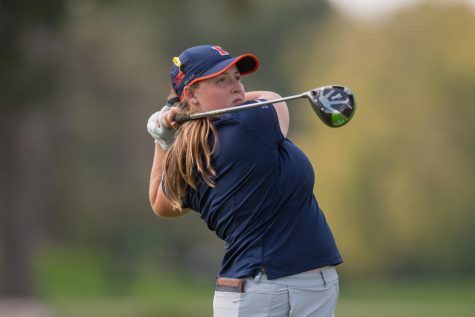 Over the weekend, the Illini women’s golf team played in the Lady Buckeye Invitational in Columbus, Ohio. The invitational, hosted by the Ohio State University, was played on the university’s Scarlet Course. 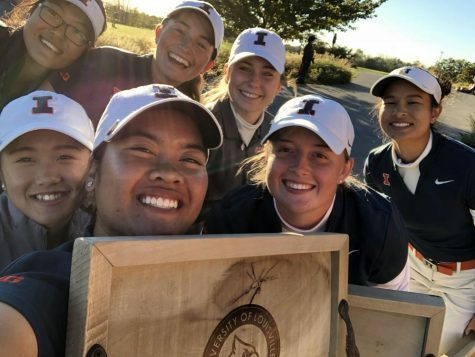 After two rounds of play, the Illini finished at the top of a field, which included eight other Big Ten teams. Contributing to the team’s total score of 3-over-par were seniors Grace Park and Dana Gattone and sophomore Tristyn Nowlin — all three of whom finished in the top-10 as individuals. Park had an especially successful outing this weekend, finishing with a career-best score of 3-under-par and tying for first with Kent State’s Pimnipa Panthong. According to Park, the weekend’s results demonstrate all the effort the team has put in this season. 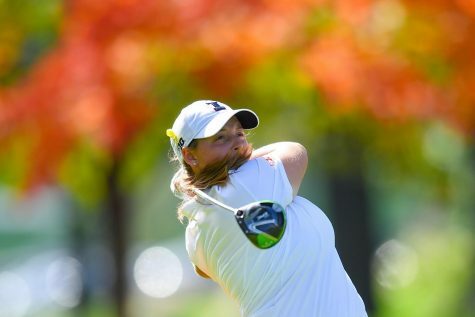 Both Park and Gattone experienced their last regular season tournament at the Lady Buckeye. Gattone — who finished tied in tenth — describes the course as one that can test any player’s game. The course and its conditions had her working hard to get herself out of a rough start. Like the seniors, Nowlin went into the weekend with prior knowledge of the Scarlet Course. 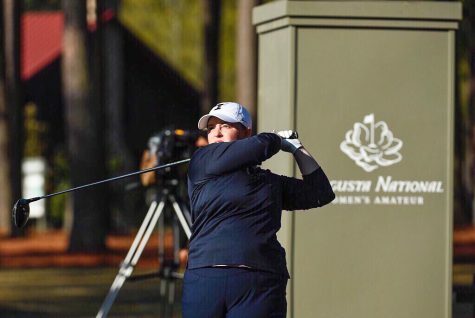 Her experience would help guide Nowlin to a T-4 finish with two rounds of even par. Nowlin also saw the Lady Buckeye as a chance to raise the Illini’s spirits going into the Big Ten Championships. 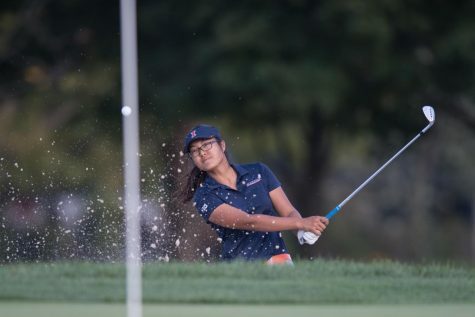 Rounding out the Illini’s performance were junior Bing Singhsumalee, senior Chayanid Prapassarangkul and freshman Ali Morallos. They finished at 6-over-par, 7-over-par and 8-over-par, respectively.